Pressure Cleaning Service & Work Orders, Job Estimates, Cleaning and Service Proposals, Service Agreements, Contracts, Cleaning Warranty Certificates, Invoices, Kitchen Exhaust Cleaning, Preventive Cleaning Maintenance Agreement, Maintenance Agreement, Comprehensive Cleaning & Maintenance Agreement, Job Invoice, Job Service Invoice, Cleaning Service Yearly Maintenance Agreement, Job Proposal, Cleaning Contract, and more. Good for any job type: Pressure Cleaning Proposal & Service Agreement, Roof soft wash, Roof algae removal, Roof moss removal, driveway power wash, Contract, Agreement, Work Order, Service Order, Job Order, Job, Patio & terrace cleaning, Pool area power wash, Awning cleaning, Brick cleaning, Screen enclosure cleaning, Deck power wash, Fences pressure washing, Paint removal & preparation, Parking garages, Shopping centers, Restaurants, Toxic Black Mold Removal, Paint Preparation, Boat Dock Pressure Cleaning, Concrete Cleaning, Graffiti Removal, Sealing services, Acrylic Sealing, Waterproofing, Driveway, Pressure Cleaning, Pressure Washing, Paver Sealing, Sidewalk Cleaning, Rust Removal, Algaecide Treatments, HOA Cleaning Service Provider, Painting, Waterproofing, Gutter Cleaning, Trailers, Tractors, Trucks, Food Truck, Car Carrier, Cooler, Roof, Driveway. 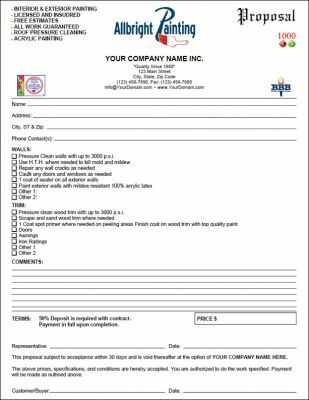 A pressure cleaning, industry standard work proposal, bid proposal and service (maintenance) agreement form. 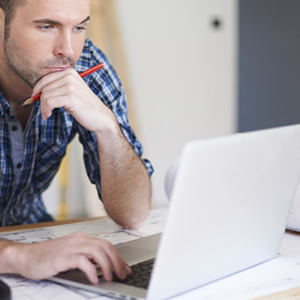 An itemized cleaning checklist (editable) makes filling out your form a breeze. 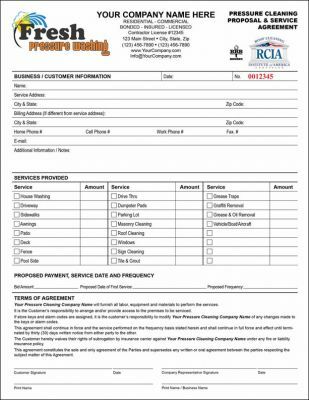 Form includes space for customer, work and billing information, notes/observations, editable check list of services to provide, proposed amount and proposed frequency schedule, industry standard terms of agreement, signature lines and other features such as form numbering and cleaning industry association logos (may be removed or replaced with your own).